My WordPress blogging software got corrupted somehow, so I was not able to do any posts the first couple of days. This is being posted on 9/25. 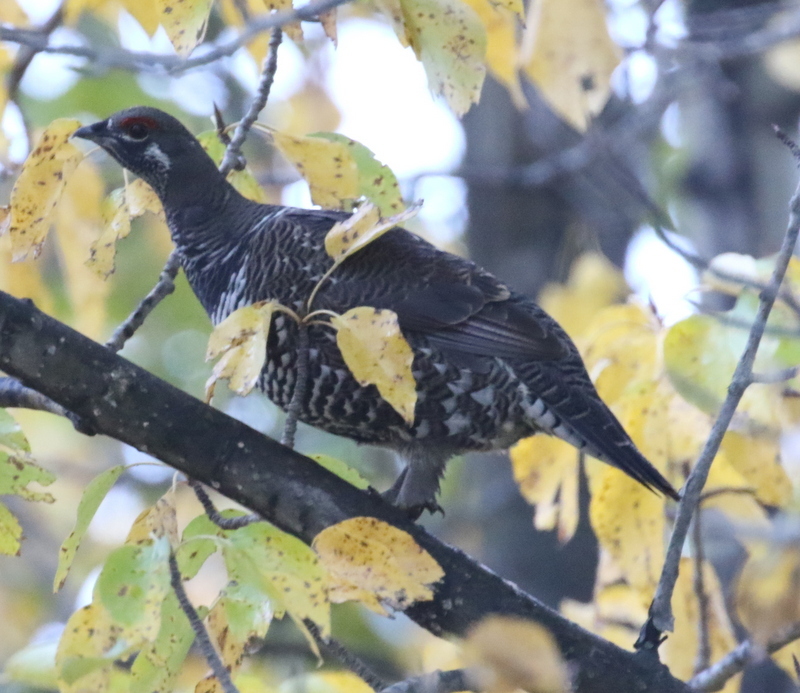 On Saturday morning in Anchorage, we drove up to Arctic Valley first thing and, like last year, we were the first one up the road, so we found a couple of Spruce Grouse along the road edge. This one flew up into a tree. Once we reached the top (the ski area), we spotted a Dipper which cooperated by posing nicely for us. Dipper, Arctic Valley, Anchorage, Sept 22, 2018. Potter Marsh produced nothing new for us, so we headed up to Ship Creek. As usual, the tide was out, so no shorebirds at the mouth. 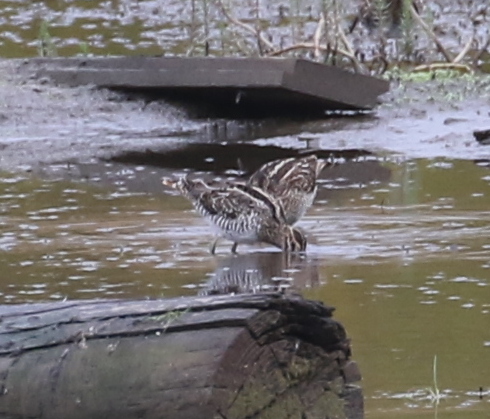 We drove upstream a bit to a parking area and in an impoundment next to the creek were three Wilson’s Snipe. We headed to the airport and arrived in Adak around 5 PM. Jon And Jim filled us in on what few birds were around. They had had Emperor Geese and Gray-tailed Tattler (both lifers for Jon) and another birder had a Baird’s Sandpiper (w/photos). 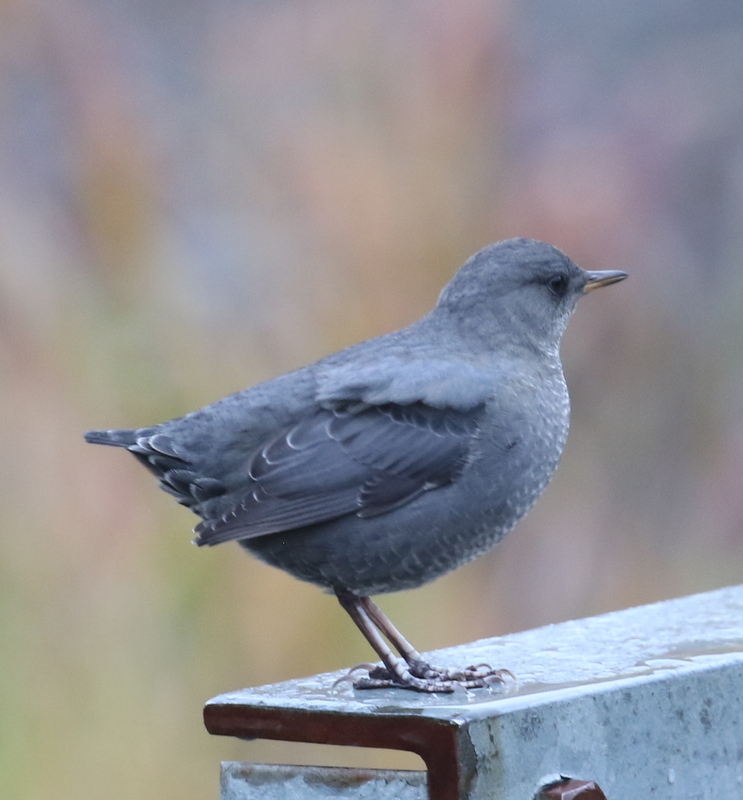 They also had Pacific Golden-Plovers, several American Pipits, a Red Phalarope, and at least one Parasitic Jaeger still hanging around. Not much else to report. We did a quick run up to Warbler Willows and the flats at Clam Lagoon. At the flats, we had a flock of nine Sanderling. Temp in the 50s, partly sunny, west wind 10 mph in the AM increasing during the afternoon. On Sunday, we started our usual route of Sweeper Cove, Sweeper Creek, feeders, etc. At the Sweeper Cove breakwall, a small fishing boat was just off-shore (maybe 50 yrds) and a large number of gulls and alcids were present. However, none of them were extraordinary. Glaucous-winged Gulls, Black-legged Kittiwakes, Common Murres, Pigeon Guilemots, Pelagic Cormorants, Horned Puffins, etc. At Landing Lights, we had several Rock Sandpipers and Ruddy Turnstones (this is where both the tattler and Baird’s had been seen). We met up with Jon and Jim at Clam Lagoon and the three of us walked the marsh edge. 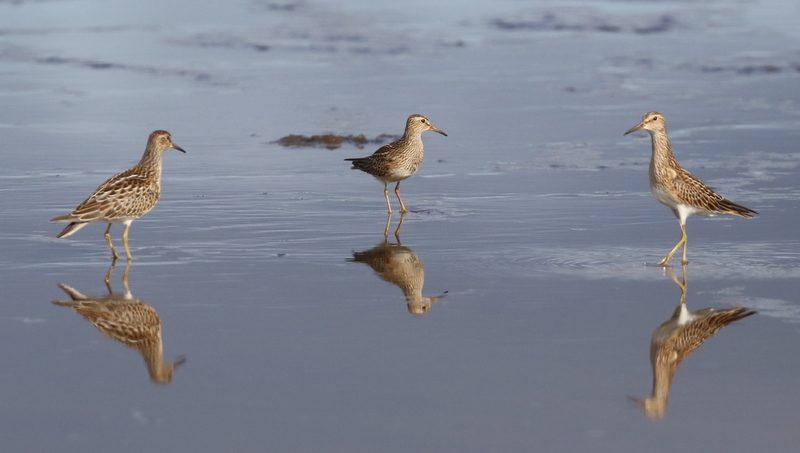 We found 4 Pectoral Sandpipers and 2 Long-billed Dowitchers. 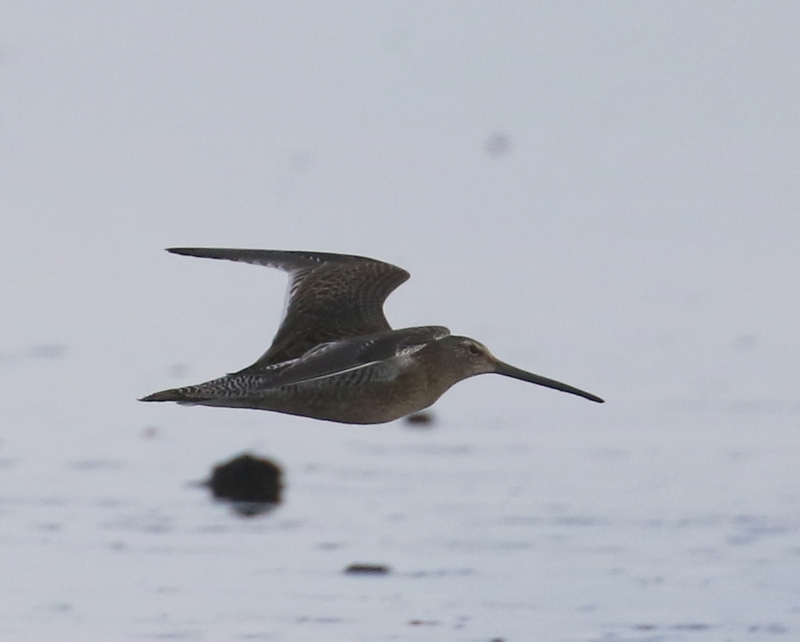 Amazingly, no Sharp-tailed Sandpipers! Up til that point, they hadn’t seen a pectoral (they had been there since Wednesday). At the Seawall, there were a lot of Red-necked Grebes (a couple dozen) and 6 Horned Grebes. Lake Shirley hosted a couple dozen Eurasian Wigeon and one American, as well as a dozen Greater Scaup and 4 Northern Pintail. As we neared Candlestick Bridge, I spotted a family of Emperor Geese – 2 adults and 5 kids. When we drove back up to the Seawall another lone goose was out on Goose Rocks (and rightly so!). Just north of town, a flock of 16 Cackling Geese flew over. 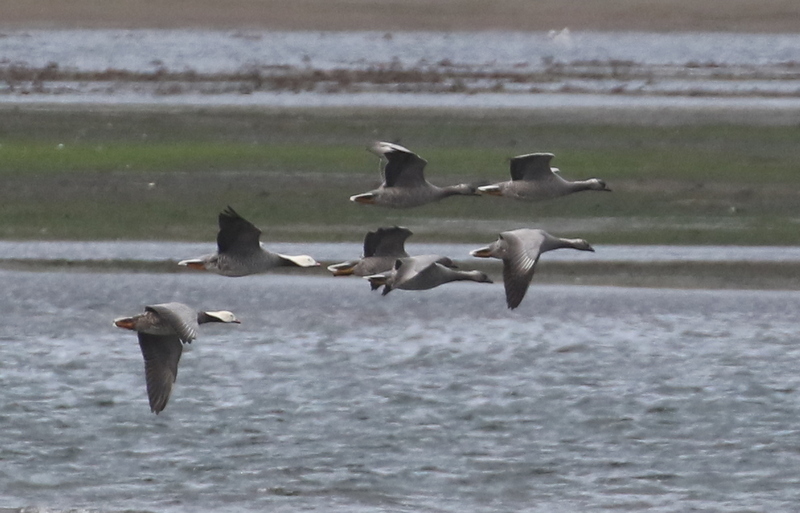 The Sanderlngs, Emperor Geese, and Dowitchers were new birds for our Adak Year List (now at 83). This entry was posted in 2018 September, 2018 September by pabirds. Bookmark the permalink.